Each year, art enthusiasts have the opportunity to witness first-hand what Langley-area artists create by visiting them on site in a studio. The sixth annual Langley Art Studio Tour runs the weekends of September 20, 21 and 27, 28. Designed as a way for the public to see how artists work and where, this yearâ€™s tour features more than 40 artists. Many open their personal studios for the tour and invite fellow artists to â€œset up shopâ€ with them for visitors to come by, watch, explore, and ask questions. Some artists even offer demos, special pricing, class discounts, and free draws. Each location is easy to find with the art tour signs marking the locations. A new artist on the tour this year is Langley resident Ed Pretty. He has been a wood turner since his father originally taught him the craft of spindle turning, when Pretty was nine years old. In the late 80s, Pretty took the hobby up seriously and began making things the average person wouldnâ€™t believe were made on a lathe. Creating attractive pieces that showcase the wood is what Pretty focuses on. He uses a very high quality fabric dye to add colour. 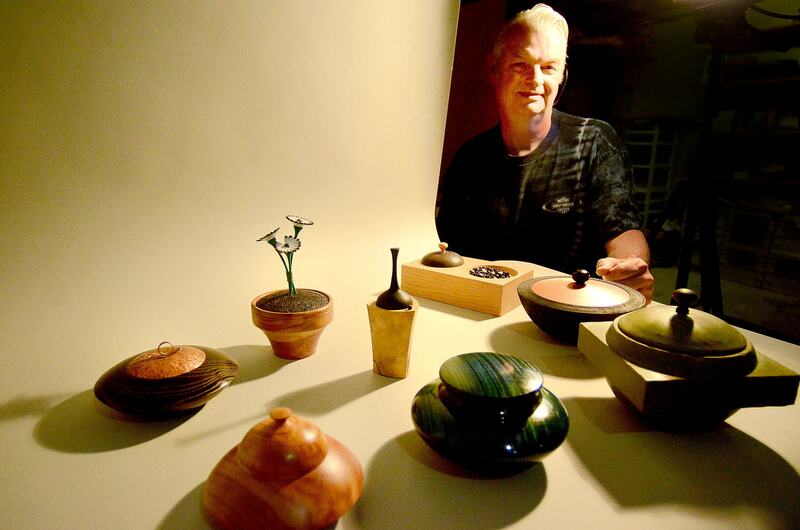 He creates a very diverse range of projects from bowls and lidded boxes to platters and hollow forms (which are large items hollowed out through a tiny opening). Another specialty of Prettyâ€™s is his multi-axis work which leads to work that looks far from the traditional lathe projects visitors expect. For the self-guided tour, Art Studio Tour maps along with artists bios, including Prettyâ€™s are available by clicking here. There are 25 suggested stops throughout the Langleys and due to the distances, they canâ€™t all be covered in one day.